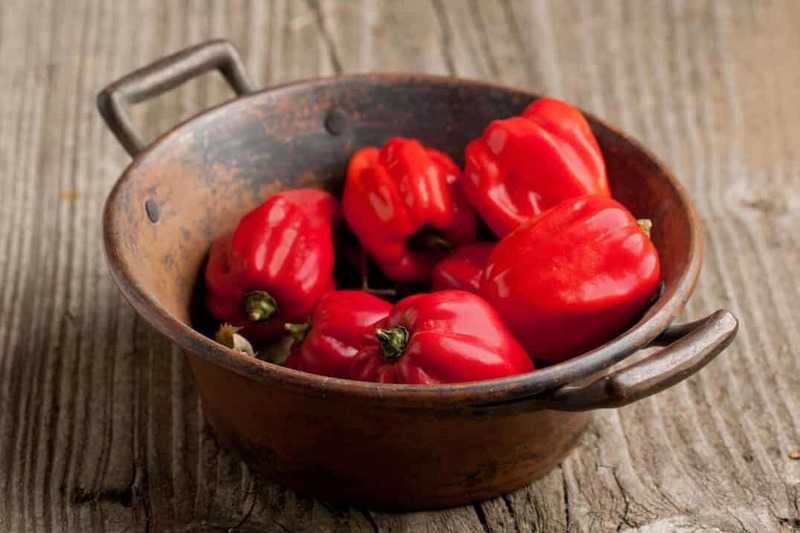 Don’t expect a typical habanero level of heat when you use a Caribbean red habanero. These chilies ratchet things up with a spiciness bordering on extreme. With a citrusy, slightly smoky flavor, Caribbean reds are exceptional hot sauce and salsa chilies if you prefer that extra punch in your spicy foods. 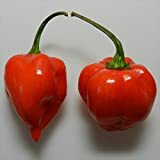 How hot are Caribbean red habaneros? The Caribbean red brings serious tropical thunder to the table. 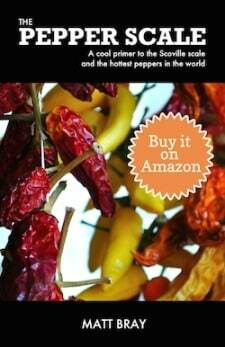 With a Scoville heat range from 300,000 to 445,000 Scoville heat units (SHU) it’s most certainly a super-hot pepper. At its mildest, the Caribbean red is nearly as hot as the hottest possible common orange habanero (which is still extremely spicy.) If comparing the mildest orange habanero to the hottest possible Caribbean red, the red can be four times hotter easily. Compared to our jalapeño reference point, that’s 35 to 178 times hotter than a jalapeño. Scorchin’. But compared to another red habanero, the Red Savina, the Caribbean red doesn’t reach quite the same heights. Red Savina habaneros share a similar floor, but can reach up to 577,000 SHU – a 17% increase in heat compared to the Caribbean red. Beyond the color, do Caribbean red habaneros look like other habaneros? Yes, habaneros are commonly orange in color, so the red hue is special in and of itself. Beyond that, the shape is the same – lantern-like and one to two inches long. Caribbean reds mature from green to their beautiful red shade, and in the process gain their extreme heat. What do Caribbean reds taste like? If you love the citrusy, slightly smoky flavor of common orange habaneros, then you’ll love Caribbean red habaneros as well. 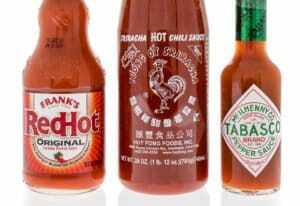 They share a similar flavor profile, just with the extra spiciness to boot. As with all extreme chilies, everyday cooking is not your typical use case. 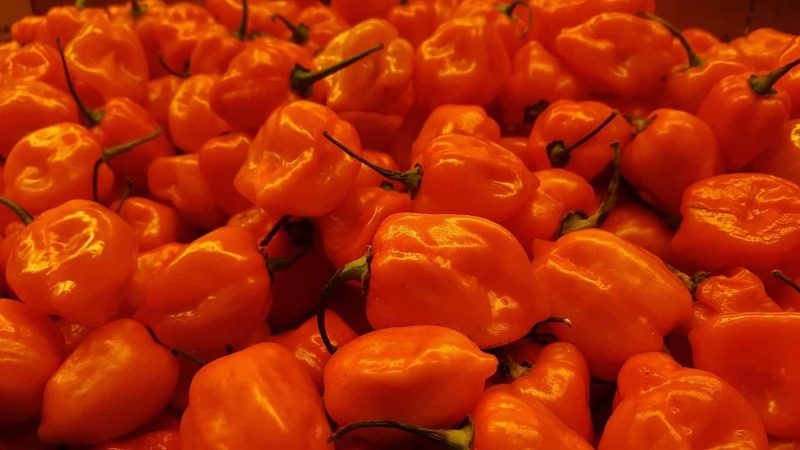 Common orange habaneros have become more and more common as an extra-hot flavor enhancer for meals, but the Caribbean red variety is just on another plane of spiciness. There’s no denying their flavor matches up well to the spice. 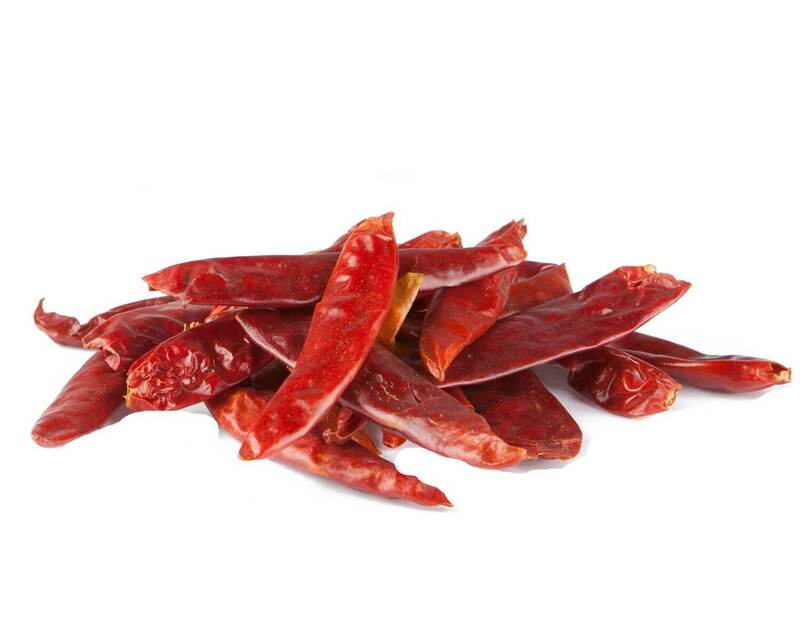 And as such, these chilies are perfect for use in sweet, citrusy, and smoky salsas and hot sauces. Tropical salsas and hot sauces are a perfect fit. If you’re into extreme eats, subbing-in Caribbean reds for common orange habaneros is possible in most any situation, just be prepared for the heat-bump. And use gloves and kitchen glasses when preparing any habanero, no matter the color, to avoid chili burn. At these levels of heat, it’s a must. 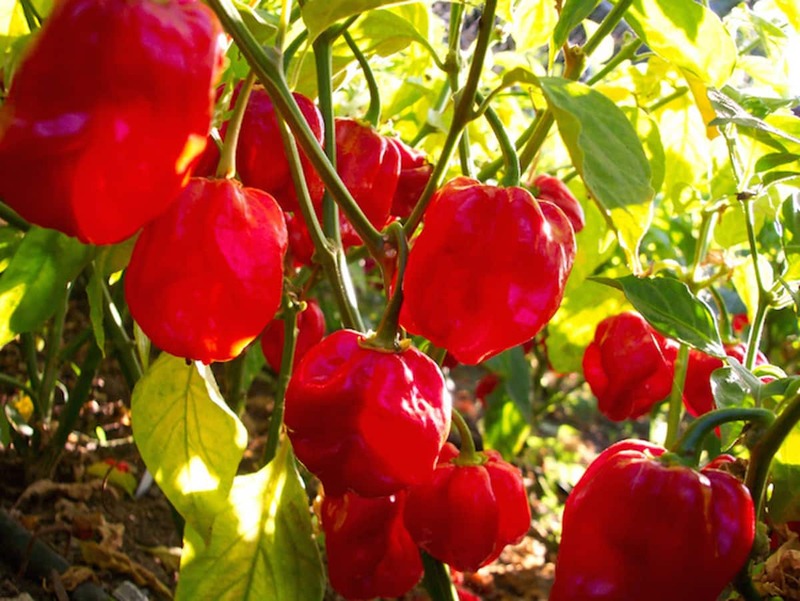 Where can you buy Caribbean red habaneros? 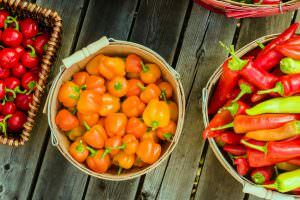 Due to the heat difference, they aren’t as common as orange habaneros, so don’t expect to see them at your typical supermarket. 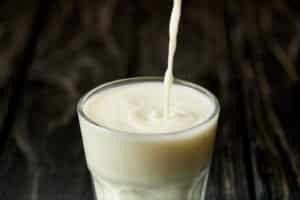 Look to farmers’ markets and specialty stores. 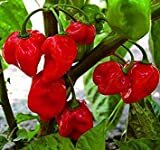 If you’re looking to grow them yourself, you can buy both Caribbean red habanero seeds and plants online. You can also find a wealth of Caribbean red hot sauces and salsas at spicy food specialty stores, both online and brick and mortar. So don’t be fooled by the name. The Caribbean red habanero is a certain step up the pepper scale compared to the common orange habanero variety. If you’re interested in cooking with super-hot chilies, it’s an excellent first step since its one of the milder super-hots around. Just remember, as with any super-hot, use gloves and kitchen glasses to keep severe chili burn at bay. And keep that milk handy, just in case.